Welcome to PreK 3A Mrs. Sciascia’s class. Get ready for fun filled days exploring the wonderful world of learning. 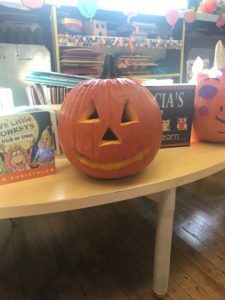 We decorated our class pumpkin and named him Max. This is Max. This is Max our unicorn.